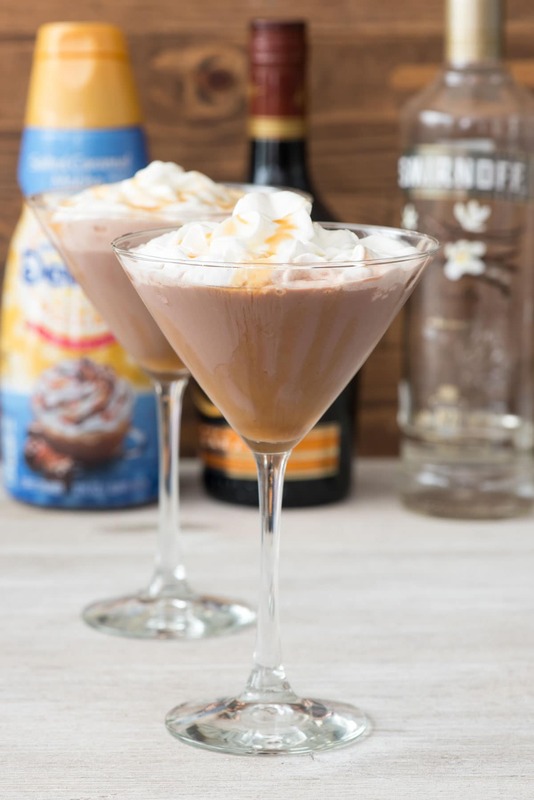 Salted Caramel Mocha Martini – an easy martini recipe with coffee, caramel liqueur, vodka, and salted caramel mocha creamer! It’s the best dessert drink! 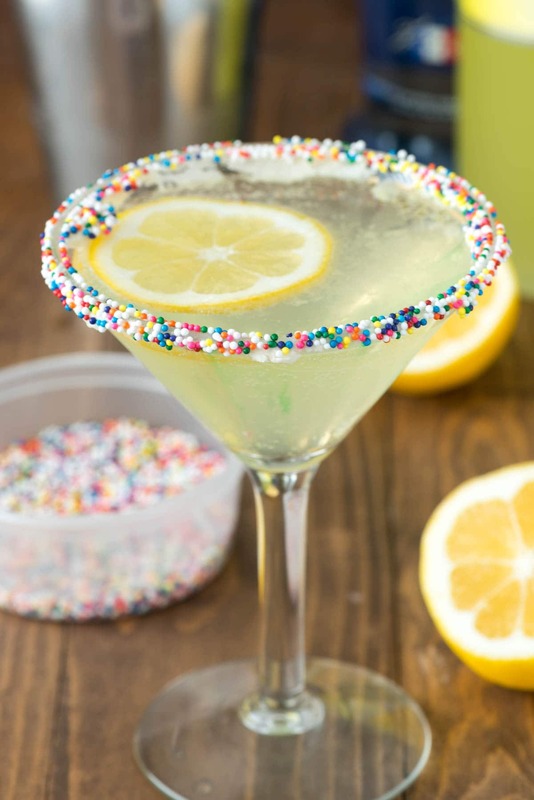 This cocktail recipe brought up so many memories for me at the first sip; it reminded me of my 30th birthday party. Jordan was just a baby so we left her with my parents and stayed at a hotel in San Francisco. Several of my friends came into the city to have dinner with us and then we ended up heading to a lounge/bar on the top floor of the hotel. There were sweeping views of the night sky, music for dancing, and lots of chocolate cocktails. Until that night, I’d never had a cocktail that tasted like chocolate milk. They were so good – and they went down so easy. I think the group of us probably drank a pitcher (or two) of them. I haven’t had many creamy dessert drinks like that since that night, but every once in awhile I crave one. Now I have a recipe I can make at home…and so do you. The question is: will you make one drink or a pitcher full of them? 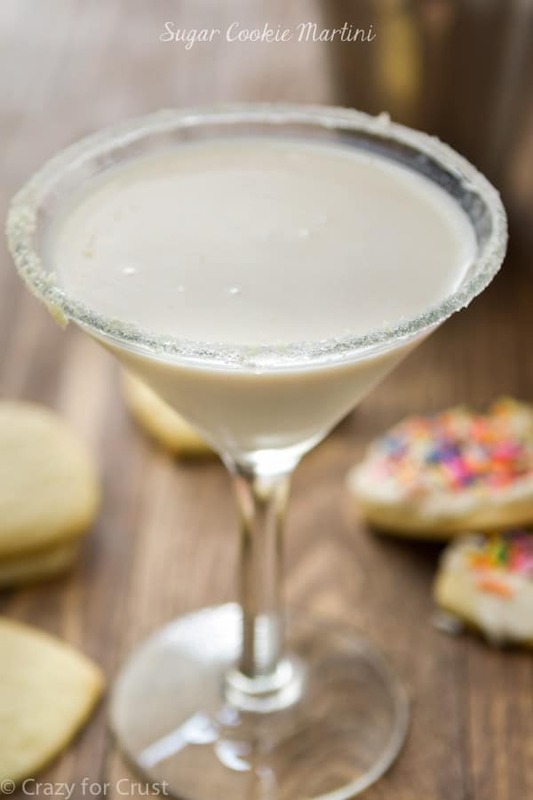 Vanilla vodka, caramel liqueur, coffee, and coffee creamer are all you need to make this dessert in a glass. 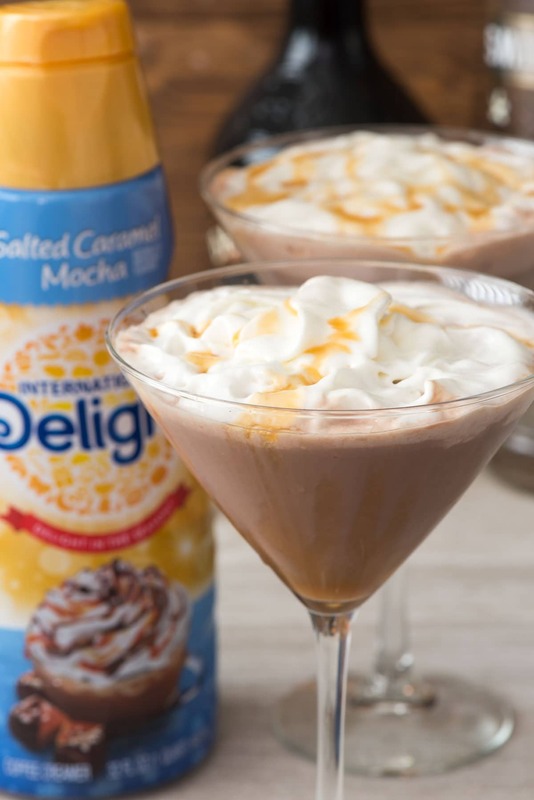 Last month I tasted the new International Delight Salted Caramel Mocha coffee creamer for the first time. Remember, I turned it into a dip? Well, that coffee creamer is so good that I have to continually stop myself from drinking it plain with a straw, so I decided to do just that and make it into one of my favorite drinks. 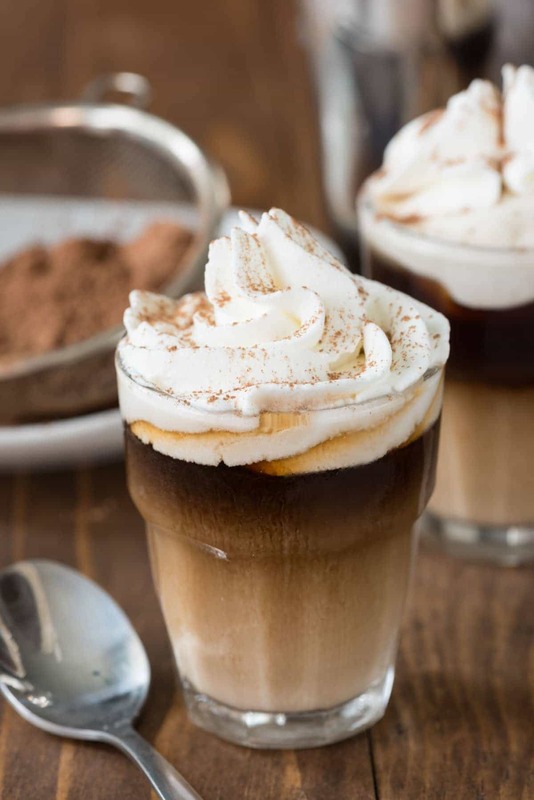 The creamer brings the flavor of both components (salted caramel and mocha) to the table, which I enhanced with caramel liqueur, vanilla vodka, and a shot of coffee. Of course, adding caramel and whipped cream is just like the icing on the cake. Salted Caramel Mocha Martini - an easy martini recipe with coffee, caramel liqueur, vodka, and salted caramel mocha creamer! It's the best dessert drink! Drizzle martini glass (or glasses, if making a pitcher) with caramel sauce. For one drink: place ice in a cocktail shaker and add vodka, caramel liqueur, coffee, and creamer. Shake then strain into glass. For a pitcher: add vodka, caramel liqueur, coffee, and creamer to the pitcher, stir, then chill until ready to serve. 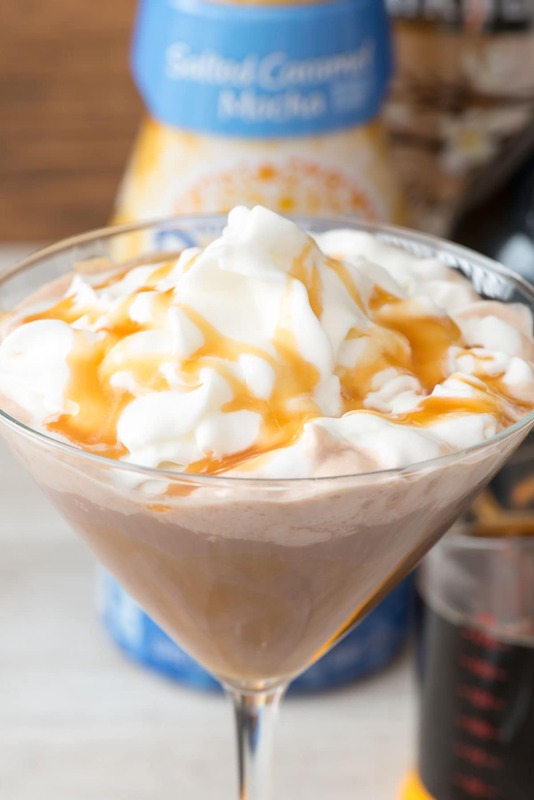 Garnish each drink with whipped cream and more caramel sauce. Chocolate martini drinks go down SO easily. There’s a drink here in DC that comes with chocolate shavings, so I can eat and drink at the same time. Heaven. This looks like heaven too! And it’s a great way to remember your 30th and what a great night it was. I can’t wait to try this! I don’t love regular martinis (I know, who am I?!) but a chocolate martini is so irresistible. Loving this salted caramel version and can’t wait to make it during the holidays!! I’m all about this martini. There’s no part of it I object to! This drink looks sooo good! You can’t beat that creaminess. And that’s so clever to put the coffee creamer in there. Yum. I could make this count as dinner, drinks, and dessert – all in one! 🙂 The creamy factor with the salted caramel…this is heaven! I hate the taste of alcohol, but in Hawaii I had a chocolate rum drink that I loved. 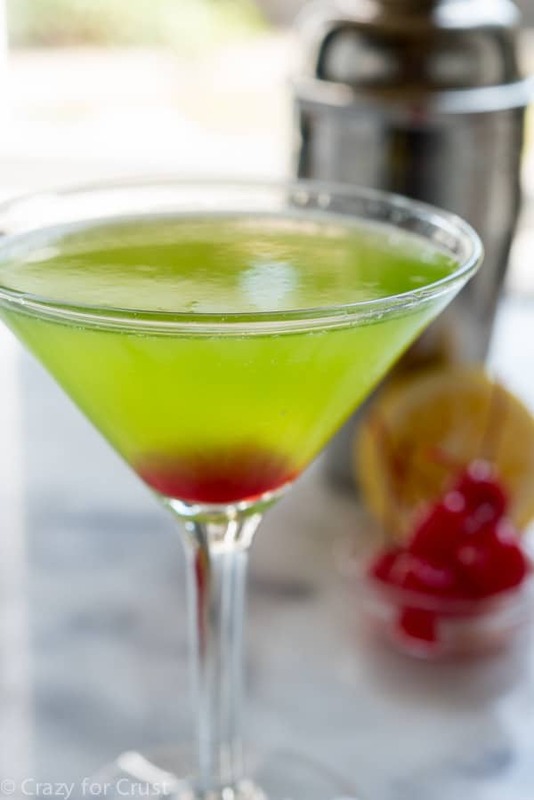 This drink looks just as good. And what a special 30th birthday celebration you had! A Pitcher…DUH! Love these kind of drinks, so delish! I’m not a drinking person. Is there a way that I could make a regular drink? I enjoy the things you mike. Enjoy your page. Keep the good things coming. Have a great day. I love your drink! That really makes different, I think. I will make this for my next birthday party in December. Thanks for sharing!